Cliff-top property in a secluded and spectacular location. We really enjoyed the location of the house, in particular its proximity to the beach and the lovely view from the terraces, including some beautiful sunsets. The house was comfortable and well-equipped. There is a beach bar (kiosko) nearby with a limited seafood menu. It is only a 30 minute stroll to a hotel complex (one of the few on the island). It is a good location for visiting the southern part of the island with its volcanic scenery, pine forests and walking trails. 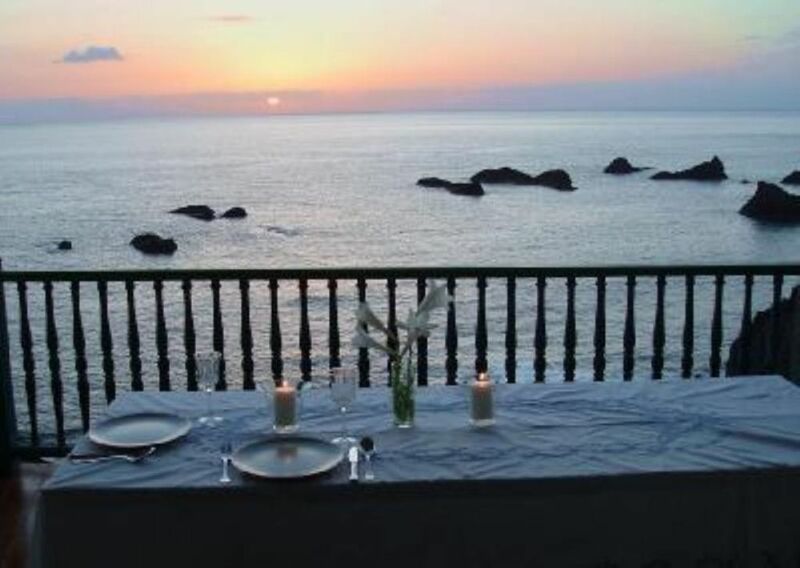 The Island of La Palma is perfect and the house is perfectly situated. Javier has been excellent in communication and I would recommend to anyone. Just sad to leave such a lovely place. Wonderful food in the kiosk next to the house too. We spent a very relaxing week overlooking La Zamora beach in this lovely house. The view is amazing and there is lots of terrace space. We would like to return one day. "We had an excellent stay in this house. The house is very well equipped, has comfortable beds, two terrasses and has a wonderful location at the side of the island where the sun is (almost) always shining. From the house you can go down the stairs to the beach and the sea, where you can see many fish! The stairs have been renovated recently and nets have been attached to the cliff to prevent rocks falling down. Everything was very pleasant and I can advise this house and the owner to everybody." "I have been fortunate to have stayed thus far in many lovely holiday houses and so on, some larger and some better equipped, but Casa Zamora (in my very humble perspective) is the most special and memorable. What a totally unique place. " An escape from the pressures of modern life. Absolute tranquillity. We had a truly phenomenal 2 week family holiday, and such a combination of adventure and relaxation. Not another house for a mile either side. (Banana plantations everywhere.) The only other cliff top building nearby is a small kiosk, open pm till dark. The menu- Calamares, baby octopus, whole fish, salad, canarian potatoes, and a glass or three of local wine, that is all. What else do you need? The beach is part of a protected marine reserve which extends for a few kilometres either side. The amount of fish, quite incredible. Sunsets, stunning. The sky at night unbelievable. If I had to summarise Casa Zamora in 1 word only – ‘magical’. And La Palma itself- La Isla Bonita, the beautiful island, much more lush than the rest of the Canaries. I would not hesitate to recommend a visit to this so very special house, and I will hope to return one day. Check in after 2:00 p.m. Chek out before 11:00 a.m.